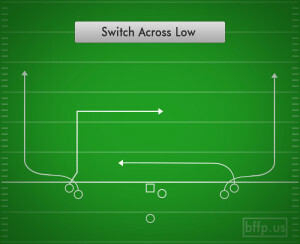 This is the shorter variation of the Switch Across High play. 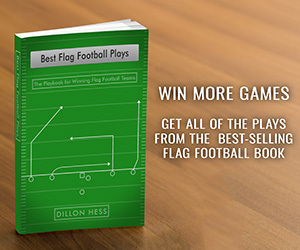 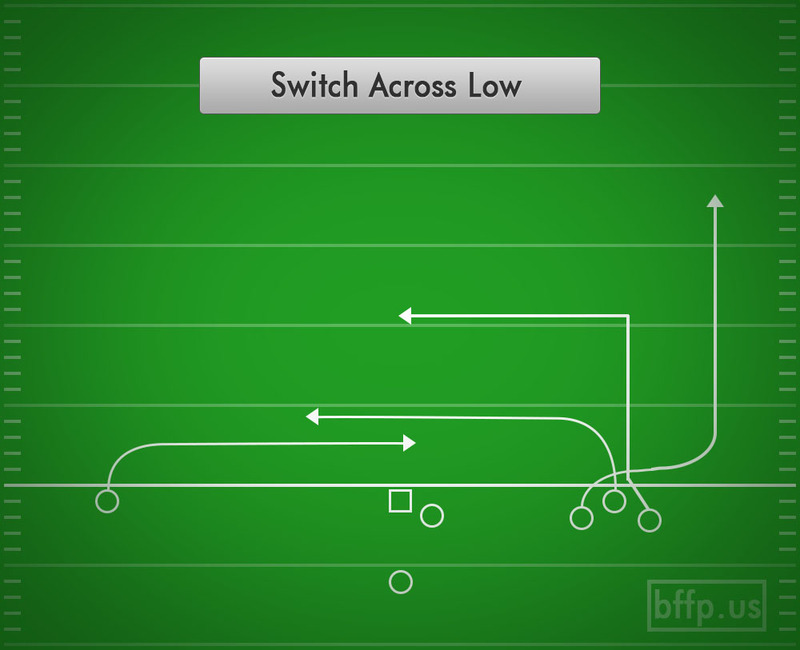 The key to this play is creating confusion for the defense at the very start of the play by having the receivers switch across each other on the way to their destination. 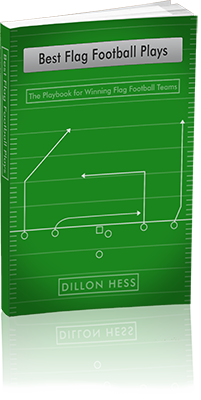 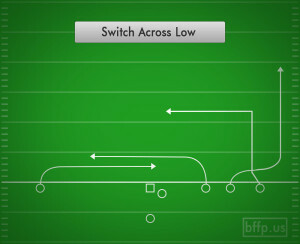 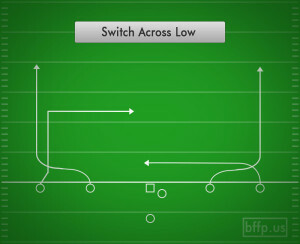 This switch makes it hard for a zone defense to keep track of all the routes, and makes it very difficult for a man-to-man defense to keep up with the receiver amongst all the chaos going on.